Jesse M. Schmidt has been a member of the firm since January 2015. Prior to joining the firm, he served as a judicial staff attorney in the Cuyahoga County Court of Common Pleas from 2013 to 2014 and from 2004 to 2013 he owned and managed a solo practice, focusing in plaintiff's personal injury, insurance litigation, criminal defense and related appeals. 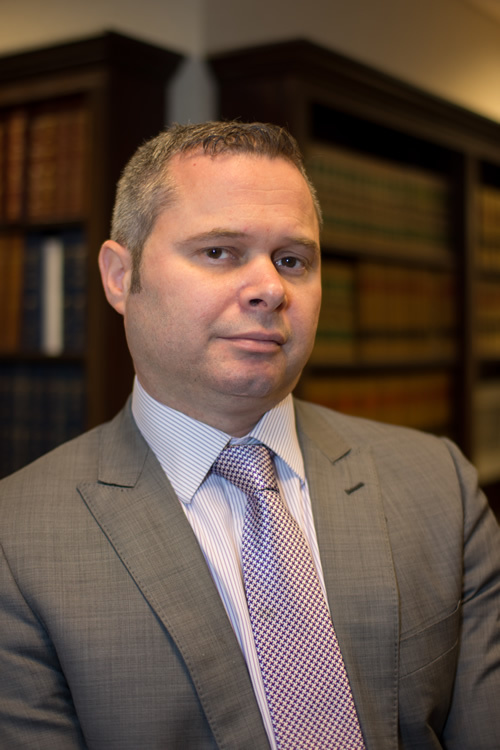 In his solo practice, Jesse acquired first and second chair experience in jury trials and appellate experience in several districts of the Ohio Court of Appeals and the Supreme Court of Ohio. He received his B.A. degree from Ohio University in 1999 and a J.D. degree from the Cleveland-Marshall College of Law in 2003. He is a member of the Cleveland Metropolitan Bar Association and West Shore Bar Association. He is now engaged primarily in civil defense litigation, focusing his practice in the areas of insurance law, construction law, and personal injury.